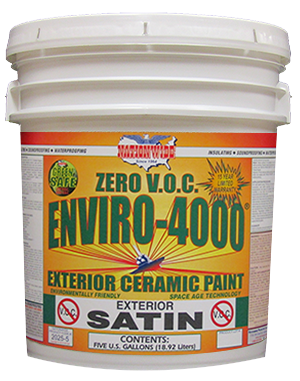 Exterior Paints, Clear Sealers, Primers | Nationwide Coatings Inc. 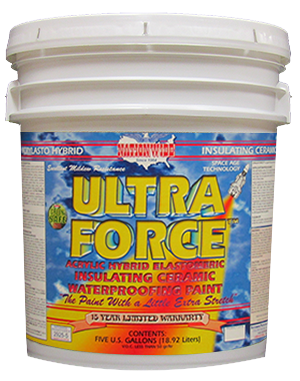 Exterior Modified Acrylic Waterproofing and Insulating Ceramic Flat Finish House Paint. 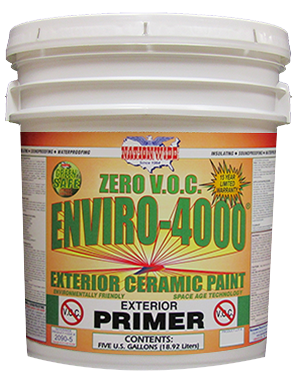 Exterior Modified Acrylic Waterproofing and Insulating Ceramic Flat Finish House and Trim Primer. Exterior Modified Acrylic Waterproofing and Insulating Ceramic Satin Finish House and Trim Paint. 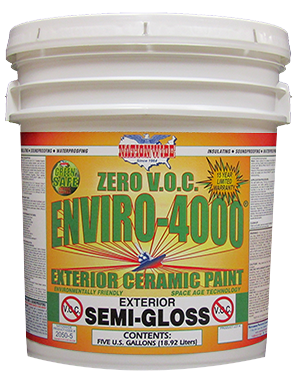 Exterior Modified Acrylic Waterproofing and Insulating Ceramic Semi-Gloss Finish House and Trim Paint. Clear Mica Sparkle Chips for Adding a Sparkle/Glitter Effect. 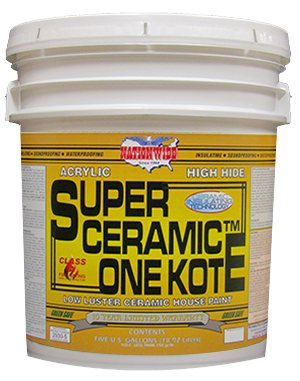 Applied to the Wet Surface of Most Paint or Coating. Machine or Manual Application. Exterior Zero V.O.C. 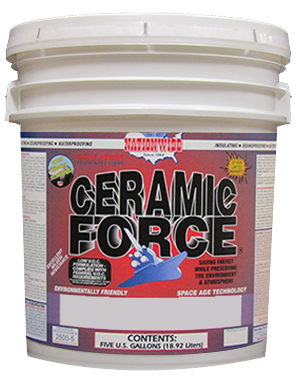 Modified Acrylic Waterproofing and Insulating Ceramic Flat Finish House Paint. Exterior Zero V.O.C. 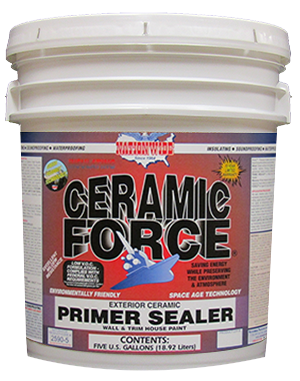 Modified Acrylic Waterproofing and Insulating Ceramic Flat Finish House and Trim Primer. Exterior Zero V.O.C. Modified Acrylic Waterproofing and Insulating Ceramic Satin Finish House and Trim Paint. Exterior Zero V.O.C. Modified Acrylic Waterproofing and Insulating Ceramic Semi-Gloss Finish House and Trim Paint. 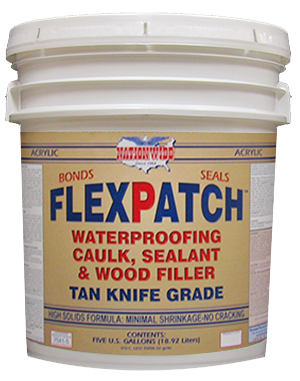 Elastomeric Waterproofing High Solids Trowel or Brush Grade Tan Wood Filler, Caulk & Sealant. Minimal Shrinkage. 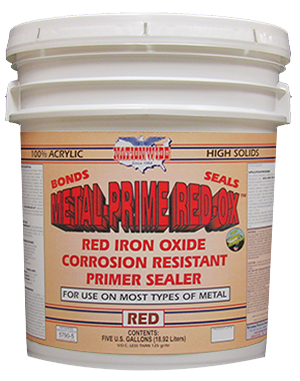 Waterborne Red Iron Oxide Acrylic High Solids, Zinc Rich, Waterproofing Rust Treatment Metal Primer & Sealer. 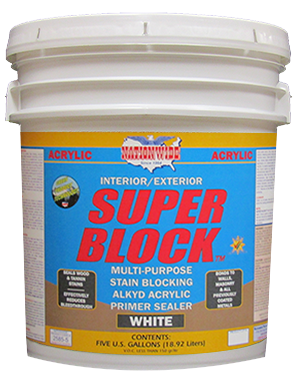 Pigmented Alkyd Waterborne Acrylic Primer Sealer & Stain Blocker. 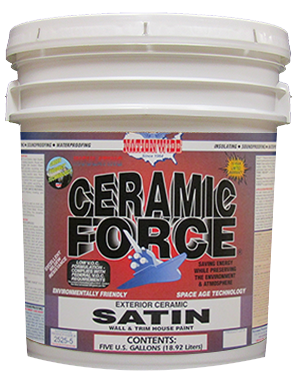 Fast Drying & Highly Alkali Resistant. 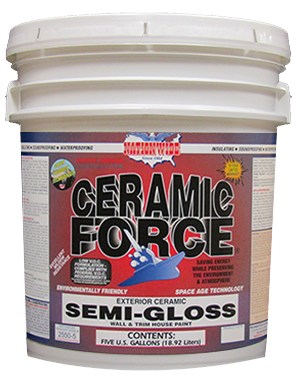 Fast Dry, Clear Acrylic Extreme Bonding Adhesive Primer. 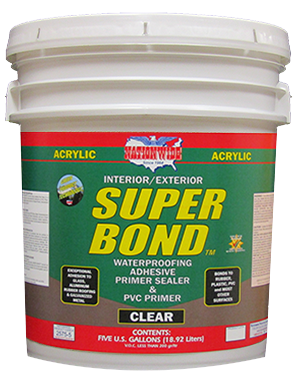 Bonds to Most Surfaces: Plastics, Glass, Fiberglass, Rubber and Metals. 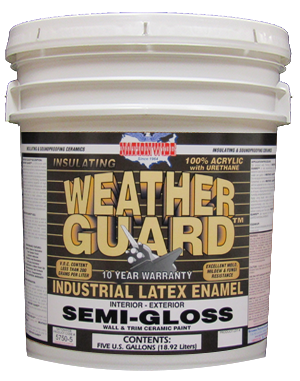 Exterior Acrylic One Coat High Hide Low Luster Finish Waterproofing and Ceramic Insulating House Paint. 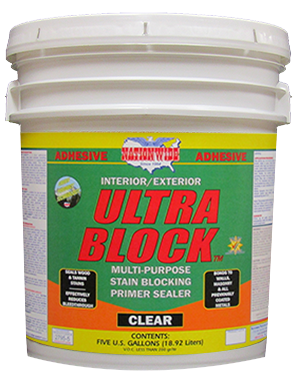 Clear Adhesive Stain Blocking Primer & Sealer. 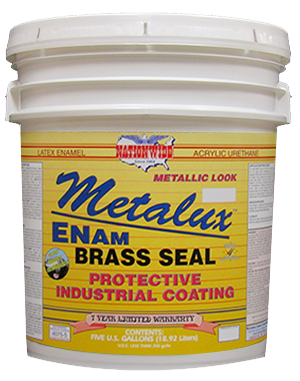 Seals most Stains and Forms a Tacky Finish to Provide a Tight Bond to Paints & Coatings. 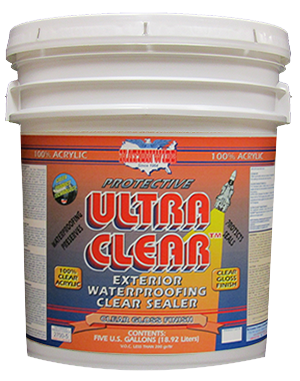 100% Acrylic Clear Sealer for Preserving, Protecting & Waterproofing Most Coated/Uncoated Wall Surfaces. 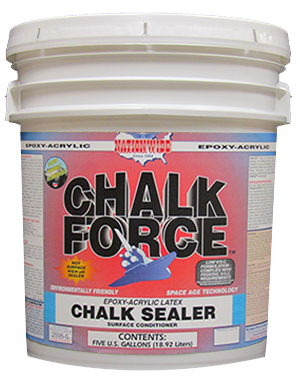 An Exterior Low Luster Finish Hybrid 15 Year Paint that Combines Elastomeric & Acrylic Resins for Stretch & Exceptional Durability. 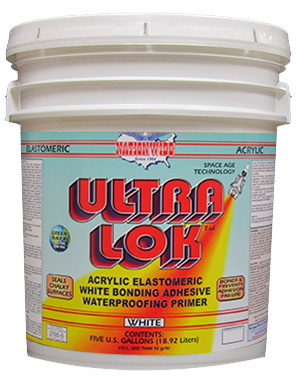 ULTRA LOK™ white, acrylic elastomeric, waterproofing adhesive, bonding Primer Sealer. 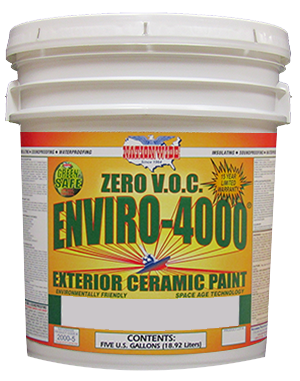 Interior or Exterior Flat, Semi-Gloss or Gloss Finishes, Acrylic Latex Enamel Waterproofing & Insulating Ceramic Paint. 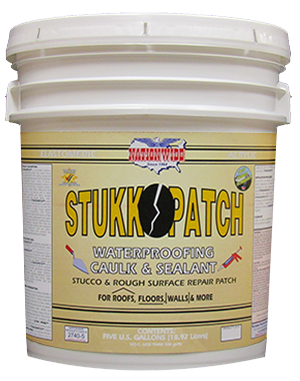 Great for Trim, Windows & Doors.